Seven of nine provinces submitted final mandates on the National Gambling Amendment Bill: three provinces voted in favour of the Bill, three voted against and one province abstained. North West and Free State had not submitted final mandates at the time of the meeting. The voting reflected an impasse on the Bill, as the vote was evenly split. Procedural advice from legal advisers was that Rule 171(1) of the Joint Rules came into play. Rule 171(1) says that the Bill should be referred to the National Council of Provinces House where each province submits a voting mandate on the Bill directly to the NCOP House. The Committee agreed that the Bill together with its Committee Report would be referred to the House. The Copyright Amendment Bill and Performers' Protection Amendment Bill were adopted by the Committee unamended. The six ANC members voted in favour of both Bills and the three DA members voted against. The DA was allowed to make a minority declaration objecting to the Bills in the House as the Bills had been tagged Section 75 bills and the DA believed they should have been tagged as Section 76 bills (affecting the provinces). After lengthy deliberation on Clause 2(2) of the Foreign Service Bill, the Committee voted on whether to delete this. The ANC majority of six voted for Clause 2(2) to be deleted and the DA minority of three voted for it to remain in the Bill. The Bill was adopted as amended and would be referred back to the National Assembly committee to approve the removal of Clause 2(2). The Chairperson asked if it was constitutional for the Director General of the Department of International Relations and Cooperation (DIRCO) to be able to recall an ambassador even though the ambassador was appointed by the President. Ms M Dikgale (ANC, Limpopo) presented the Final Mandate. The Gauteng Provincial Legislature voted against the Bill. 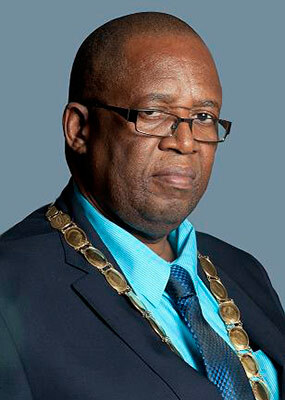 Mr J Mthethwa (ANC, KZN) said that the KwaZulu-Natal Provincial Legislature had voted against the Bill. 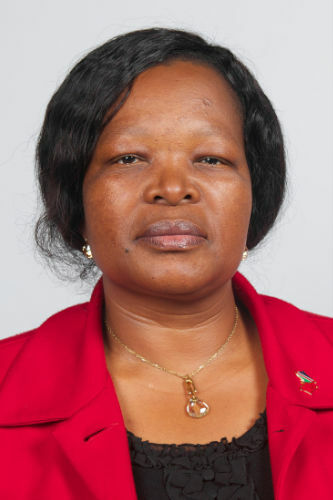 Ms Dikgale stated that the Limpopo Provincial Legislature had voted in favour of the Bill. Mr M Mhlanga (ANC, Mpumalanga) said that Mpumalanga had voted in favour of the Bill. Mr W Faber (DA, Northern Cape) stated that the Northern Cape voted in favour of the Bill. 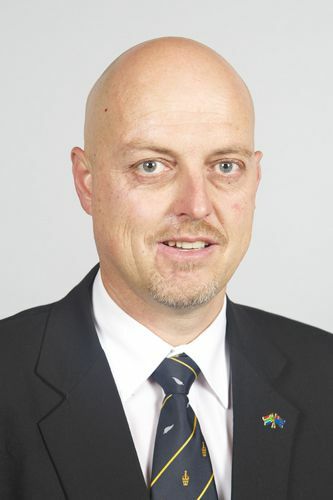 Mr O Terblanche (DA, Western Cape) said that the Western Cape had voted against the Bill. The Chairperson noted that the Free State and North West had not submitted final mandates. The Free State would submit its Final Mandate on Friday 22 March 2019. No communication had been received from the North West Province. He would in the Committee Report make mention that certain final mandates were received late. It was evident that the Committee had reached an impasse on the Bill. There were three votes in favour and three against with one abstention. He asked the legal advisers to assist on the way forward. Adv Johan Strydom, Legal Adviser: Department of Trade and Industry (DTI), noted that it was difficult to speak off the cuff but that he would try his best. Rule 171(1) of the Joint Rules applied. There was no option for the Committee but to refer the Bill to the House for a decision to be taken. It was evident that there was no clear majority as referred to in section 65(1) of the Constitution. Adv Charmaine Van Der Merwe, Parliamentary Legal Adviser, pointed out that there was another option the Committee could consider and that was to wait for the two outstanding mandates from Free State and North West. Her job entailed advising on legal issues and the matter before the Committee was procedural. It was correct that Rule 171(1) provided that the Bill should be referred to the House. Once this was done then a voting mandate would be submitted from Provinces to the House. She summarised that there was thus two options: the first was to wait for the outstanding final mandates and the second was the voting mandate in the House. The Chairperson stated that two options lay before the Committee. There was also a third option of the Bill being withdrawn. He assumed that the Minister of Trade and Industry would withdraw the Bill. Adv Van Der Merwe replied that the Bill could only be withdrawn at its second reading and in this instance the second reading had been at the time of the National Assembly approval of the Bill. The Chairperson said that it looked as though the fate of the Bill rested with the NCOP House. The Committee Report would reflect the final mandates. Voting would most probably take place in the House. This Bill would be presented to the House on Thursday 28 March 2019. The Committee Report on the Bill would also be submitted to the House. The Chairperson stated that the Committee was largely in agreement on the Bill as it was looking out for the interests of performers. Dr Evelyn Masotja, DTI Deputy Director General: Consumer and Corporate Regulation Division, noted that in a previous meeting, the DTI had responded to the submissions made on the Bill. The Chairperson said that it was a section 75 bill and hence members could have their say on the Bill. Mr Rayi said that the Committee needed to express its view on whether it was in favor of amendments suggested by stakeholders or whether it supported the responses given to it by the DTI. The Committee still needed to engage on the Bill. Mr Terblanche said that he still had the same stance as in the previous meeting that he did not support either the Performers Protection Amendment Bill or the Copyright Amendment Bill. He felt that the Bills needed to be referred back to the National Assembly (NA). The Chairperson said he had received an email from a person noting that his submission had been misunderstood. The person had been in favor of the Bill’s fair use provisions but it was reflected that he was opposed to this. Mr Faber said that what the expert panel had said about the Bill needed to be taken into consideration. The Chairperson replied that he respected what the experts said but that they needed to suggest proposals in the Bill and not only critique it. Opinions were in no way helpful and were only noted. Dr Masotja said that the stakeholder that the Chairperson was referring to in fact supported the Bill. The initial interpretation of his submission had been wrong. Many submissions had been received late but despite this, they had been incorporated into the DTI response document. The Portfolio Committee on Trade and Industry had suggested that an expert panel was needed to look at the overall Bill. Was the Bill speaking to government policy? Most of the experts had cleared the Bill. The experts had looked at the Bill’s terms of reference. Sometimes the opinions of experts differed. There were times where there were policy clashes but the DTI stuck to its guns. At the end of the day experts were consulted. Most of the stakeholders rejected the policy decision in their submissions. However, most of their views were broad and there were no clear specific recommendations or proposed amendments. The Chairperson pointed out that due to IT challenges, some stakeholder submissions in support of the Bill had not been received. There could have been a glitch in the system. The bottom line was that the Committee did not accept the submissions. The Committee would submit its Report on the Bill to the House. The DA could make a declaration in the House about its objection to the Bill. The Chairperson placed the Bill before Members for a vote. The ANC majority voted six in favour of the Bill to the DA minority of three against. The Bill was thus adopted by the Committee unamended. The Chairperson said that stakeholders had made proposals to amend the Bill to which the DTI had responded the previous week. The Committee after deliberations had decided against the acceptance of the proposed amendments. International stakeholders had made inputs on the Bill after the deadline which unfortunately could not be considered in terms of the Rules. Mr Terblanche said that he could not support the Bill in its current format. The Chairperson placed the Bill before Members to vote. The ANC majority voted six in favour of the Bill to the DA minority of three against the Bill. The Bill was thus adopted by the Committee unamended. The DA was asked to submit its minority declaration on both bills by the end of the day. Mr Terblanche replied that the best he could do was to submit the declaration by 22 March 2019. The Chairperson said that the DA minority view was being accommodated and that the minority declaration should be submitted by end of business the present day. The Committee needed to file the declaration. He said that the minority view should have been expressed in the present meeting in any case. Mr Terblanche replied that he would try his best to submit the DA minority declaration by end of business. There was a slight delay as nobody representing the Department of International Relations and Cooperation (DIRCO) was in the meeting except its Parliamentary Liaison Officer, Mr Lebohang Matshaba. The Chairperson was disappointed as he had spoken to the DIRCO Director General, Kgabo Mahoai, the night before and had informed him that the meeting was starting at 9am and the Foreign Service Bill was first up on the Committee Agenda. The Director General should have instructed Adv Sandea De Wet, the DIRCO State Law Adviser, o have been present in the meeting at that time. He noted that a number of submissions had been received on the Bill. DIRCO had been instructed by the Committee to compile a response document to the submissions. The response document had been provided to the Committee. The Committee also received a document from the Parliamentary Legal Advice Office on matters that required legal clarity. The Chairperson proceeded to take the Committee through the DIRCO response document. Some of the major concerns related to intergovernmental relations such as Clause 8(1) and on Clause 2 on the application of the Act. DIRCO’s response to most of the concerns raised by stakeholders was that the concerns raised were covered. The Chairperson did make special mention of a concern that he had. An ambassador was appointed by the President but the Bill provided that the Minister and the Director General of International Relations and Cooperation had the authority to release such ambassador from the posting. He was uncomfortable with the provision. The Committee agreed that clarity was needed on the ambassador matter. Mr Rayi said that clarity on the application of the Bill in Clause 2 was also needed from the Parliamentary Legal Advice Office. The Chairperson noted that the Committee had received the Parliamentary Legal Advice Office response on Clause 2 in writing. The Committee was generally pleased with the DIRCO responses to stakeholder concerns about the Bill. The Chairperson reiterated his concern that even though an ambassador was appointed by the President in terms of the Bill, the ambassador could be withdrawn by the Minister or by delegating such authority to the Director General to do so. Was this constitutional? Mr Nathi Mjenxane, Parliamentary Legal Adviser, said as he understood it there was nothing untoward about the delegation of power by a Minister. It was how the Executive worked. The Bill did not change the structure that was in place. He however could not speak to the delegation of power in terms of the DIRCO structure. Mr Rayi referred to page 3 of the Parliamentary Legal Advice Office document and stated that he had concerns that Clause 2: Application of the Bill could be differently interpreted. The Parliamentary Legal Advice Office had said that the Act would only take precedence in Clauses 1 to 14. Another concern was that the clause which gives the Bill precedence over other Acts had not been in the original Bill. He felt adamant that Clause 2(2) should be deleted. He was concerned that workers would be vulnerable to different interpretations of Clause 2(2). The Chairperson understood Mr Rayi’s proposal but not his motivation. Mr Nthebe agreed with Mr Rayi and asked the Chairperson what he did not understand. He had tried to modify the provision in Clause 2 but his efforts were in vain. As the Parliamentary Legal Advice Office had stated it was up to the Committee to delete or keep the provision. He did not wish for the Bill to be lost in translation. The clause was ambiguous and should be deleted. The clause had not been clarified enough. The Chairperson replied that the clause not being in the original Bill was insufficient reason for it to be deleted. Mr Rayi asked what the need for such a clause was; there was other legislation that covered employees. The Bill also proposed training for employees of other departments. Such training could conflict with the Skills Development Act. He felt that Clause 2(2) should be deleted. The Chairperson said that perhaps the legal adviser needed to explain further. Mr Nthebe reacted that the Clause 2 matter had already been debated at length. The Parliamentary Legal Advice Office had even put the explanation in writing. Mr Mjenxane said that perhaps Adv De Wet could explain why the provision was not in the original Bill. Adv De Wet explained that the provision on DIRCO administration had come about based on the hearings of the Portfolio Committee on International Relations and Cooperation. The Bill only applied to a specific group of people who were deployed abroad for four to five years. For example, if a South African diplomat deployed abroad was involved in a drunk driving accident and the host country asked that he be recalled, such a recall was not prescribed in legislation. Legislation was needed to cover that type of situation. The Bill needed to apply in that instance. Without such a provision the diplomat’s lawyer could take the matter to court and argue that the Public Service Act applied. The Labour Relations Act and other labour legislation would still apply. Rules for recall would be put in place. The Portfolio Committee had agreed with DIRCO that such a clause was needed. The Public Service Act was applicable only within SA. The Bill would deal with the Foreign Service. The Bill did not supercede all legislation. DIRCO had taken part in collective bargaining processes on the Bill. Mr Mjenxane said it was not the first time that a superceding clause was used. The Mineral and Petroleum Resources Development Act also had such a clause. Legislation on environmental management also had it. A superceding clause was not legally offending. On rules of interpretation, where there was conflict between laws of the same status, then there should be reconciliation between the laws. The courts have dealt with this matter. If laws could not be reconciled then the specific law trumped the one of general application. It was a common law rule. There was no inconsistency with the Constitution on Clause 2. The ultimate decision lay with the Committee on whether to delete or keep it. The same laws of interpretation would apply whether the superceding clause was in the Bill or not. The legal advisers could not make the decision to keep or delete. Practical implications had to be taken into consideration. As a Section 75 Bill, if the Bill was amended by the NCOP, then it would have to go back to the National Assembly for approval. Mr Rayi noted that the explanation had not changed his mind. He asked if DIRCO had participated in collective bargaining processes, why did COSATU still have concerns. Mr Nthebe noted that industrial relations should not be dealt with by the Bill. He asked why it could not be stated in the Bill that when there was a matter that impacted on industrial relations, the applicable law would be the Labour Relations Act and the Skills Development Act for training. The Chairperson asked what the need was for Clause 2(2). When a person was employed in the Foreign Service the same laws that applied if employed in SA should apply. Was there appropriate legislation to deal with such a situation if Clause 2(2) was deleted? Mr L Magwebu (DA, Eastern Cape) stated that the legal advisers had provided the Committee with the legal position and it was now up to the Committee to decide on whether to keep or remove Clause 2(2). He asked what the loss would be if the Committee kept the clause in the Bill. He noted that Adv De Wet had spelt out that there were sometimes circumstances that were not covered by legislation hence the need for the clause. If Clause 2(2) was kept then the gap in legislation would be closed. He suggested that Clause 2(2) be kept in the Bill. If the Bill was amended then the Bill would have to go back to the NA. If there was no real prejudice in keeping the clause then the Committee should not delete it. Mr Mjenxane replied that the purpose of the superceding clause was to have legal certainty otherwise the rules of interpretation had to be looked at. If there was conflict, there would be certainty due to the superceding clause. The legal opinion stood and it was up to Members to decide. He reiterated that the superceding clause would provide clarity in the legislation. The Chairperson said that there were concerns about the Bill superceding the Labour Relations Act. He noted that it was an open secret that the ANC majority had a relationship with COSATU. It would therefore make sense for Members to deal with the politics of the situation. Workers’ rights was a concern where workers worked abroad. The Labour Relations Act should apply abroad as it did locally. Adv De Wet impressed upon the Committee that there were certain types of recall that was regulated nowhere. There was no legislation that covered it. On the concerns about labour matters, she said that Clause 6 of the Bill dealt with disciplinary matters. For example, the Department of Defence disciplinary code would apply to members of the Department of Defence abroad. For the recall of someone from another department, Clause 6(7) provided that the DIRCO Director General could recall such a person only if a written request was received from the Director General of that person’s principal department such as Department of Home Affairs. The legislation of those departments would apply. When an official went abroad the applicable legislation would apply. The Public Service Act did not apply abroad. The Bill also provided for protocol training that related directly to the Foreign Service. Clause 2 would provide legal certainty. DIRCO had to contend with litigation where there was no certainty. The Bill was not taking away protection that employees had in terms of the legislation of their own department. Mr Rayi said that the Committee needed to make a decision. He had proposed that the superceding clause be deleted and Mr Nthebe had seconded his suggestion. He noted that in his initial reading of the Bill it seemed to be a human resource document for DIRCO as it dealt with human resources. If the Bill needed to go back to the National Assembly then that should happen. The NCOP was not a rubber stamp of the NA. The Chairperson put the matter to a vote. The six ANC members voted for the superceding clause in Clause 2(2) to be deleted. The three DA members voted for Clause 2(2) remain in the Bill. The Chairperson said that the Committee was not in favour of Clause 2(2). The Bill would be referred back to the NA for the removal of the superceding clause. The Bill was adopted as amended. The Chairperson asked DIRCO to comment on Clause 6 on the recall of a Foreign Service member. It dealt with his question around the recall of an ambassador appointed by the President. Adv De Wet explained that DIRCO had been engaged in litigation for many years about the recall of persons on duty abroad. She confirmed that the President appointed ambassadors but that there was a contract in place in terms of the Public Service Act. The accounting authority was the DIRCO Director General. The Constitutional Court had given a judgement that the President appoint the ambassador and the Minister should through consultation with the President give the DIRCO Director General the authority to recall an ambassador. Mr Nthebe understood that the DIRCO Director General’s role only came in from a practicality point of view. There would be consultation between the President and the Minister of International Relations and Cooperation. The DIRCO Director General was the implementer. The Chairperson asked what prevented a provision in the Bill stating that on the advice of the Minister of International Relations and Cooperation and the President, the DIRCO Director General would do x,y and z.
Adv De Wet explained that the execution of appointment of heads of missions was done through a contract signed by the DIRCO Director General. Practicalities came into play. The intention was to limit the exposure of principals. The actual decision was never at the level of the DIRCO Director General but always by the Minister of International Relations and Cooperation in consultation with the President. If what the Chairperson proposed had to be written into the legislation, then it would be open to litigation. Mr Terblanche understood what Adv De Wet was saying. In such instances the President and/or Minister would have to appear in court. He said that there was a principle in law not to state the obvious. The Chairperson reiterated that based on the majority vote of six to three, Clause 2(2) must be deleted from the Bill. He said that the Foreign Service Bill was adopted as amended. The Committee Report on the Bill would be furnished to the House. Mr Rayi said that the approach would be to table a report on the Bill. The Bill before the Committee was passed with amendments. The NCOP would still take a vote on the Bill and this applies to all bills before it. The Chairperson said the Committee would meet on 26 March 2019 to deal with four international treaties. Minutes dated 13 March 2019 was adopted as amended.